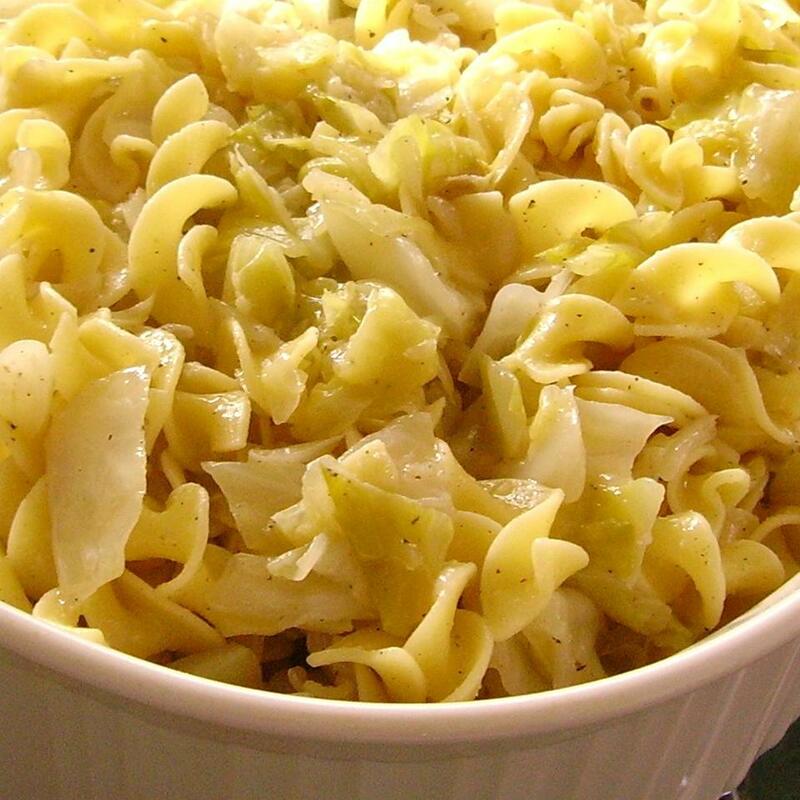 This Hungarian favorite is cabbage, onions, and egg noodles cooked in butter. Salt and pepper to taste. So easy, so good. 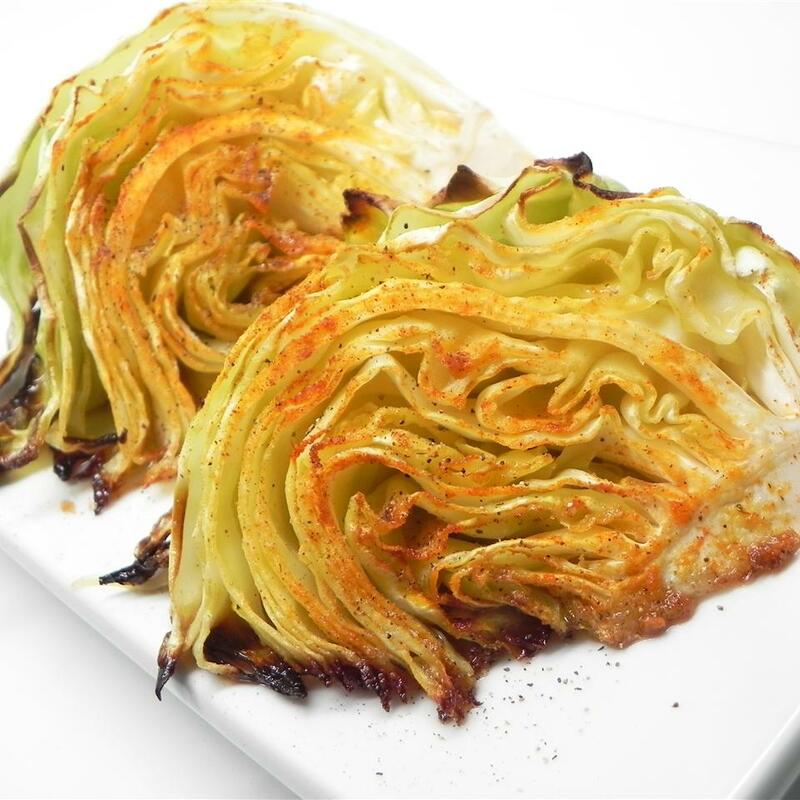 The secret to this recipe is to cook the cabbage for a very long time over very low heat until it is all light brown and carmelized. This gives it a delicious sweet flavor that is not cabbag-y at all. 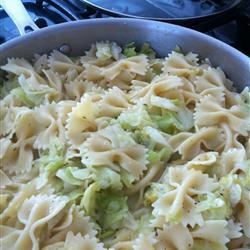 If the cabbage seems to be sticking add more butter or a little oil. 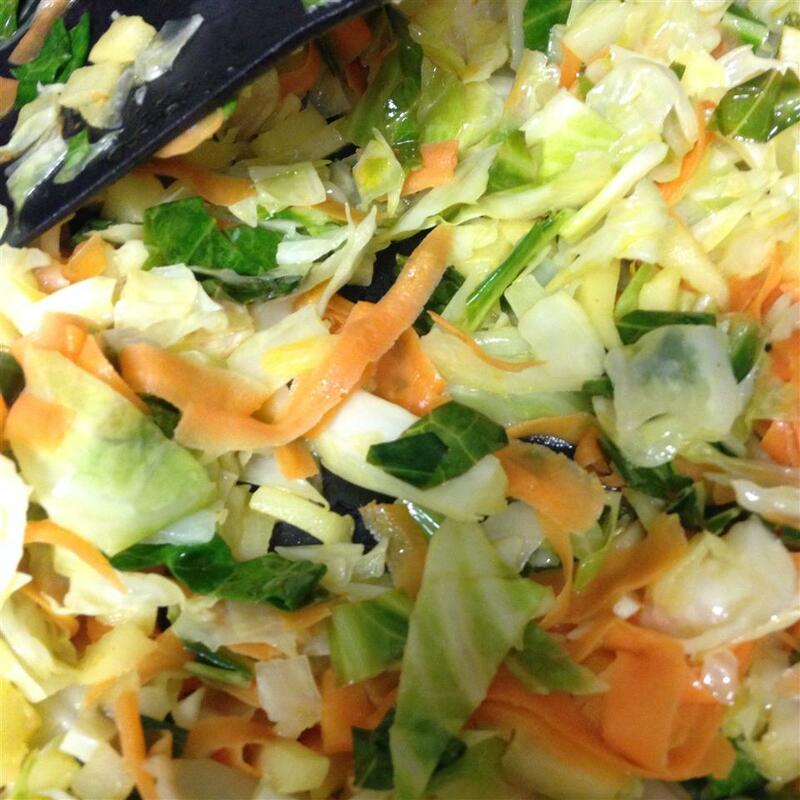 I add salt while it is cooking to help sweat out some of the water inside the cabbage leaves. I also do not use onion but it would definitely be a nice addition. 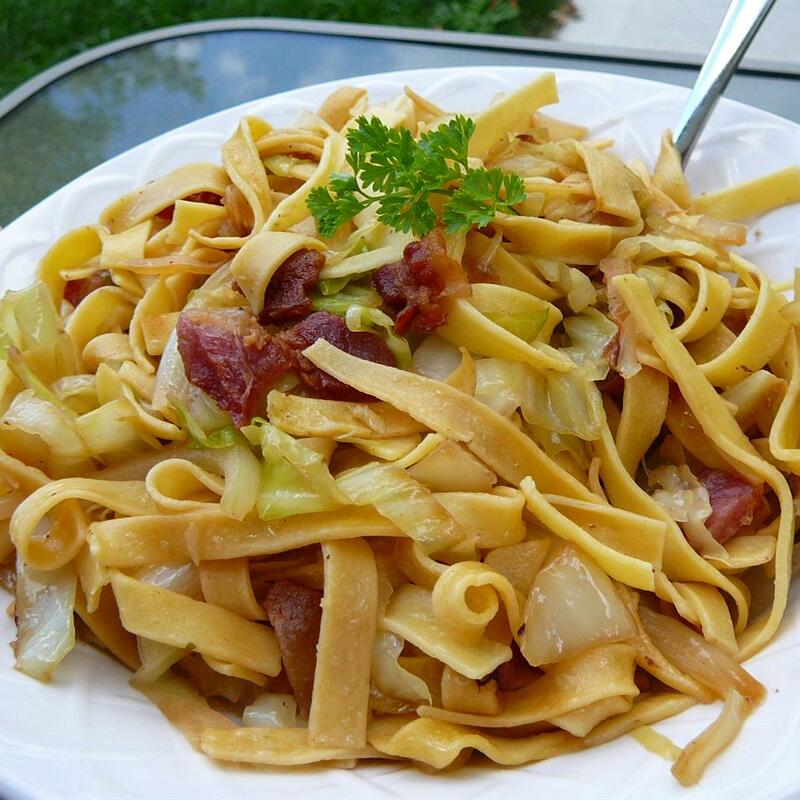 My Hungarian grandma always made this and now I make it for my family. No matter how much I make we eat it all in one sitting. It is also very inexpensive. 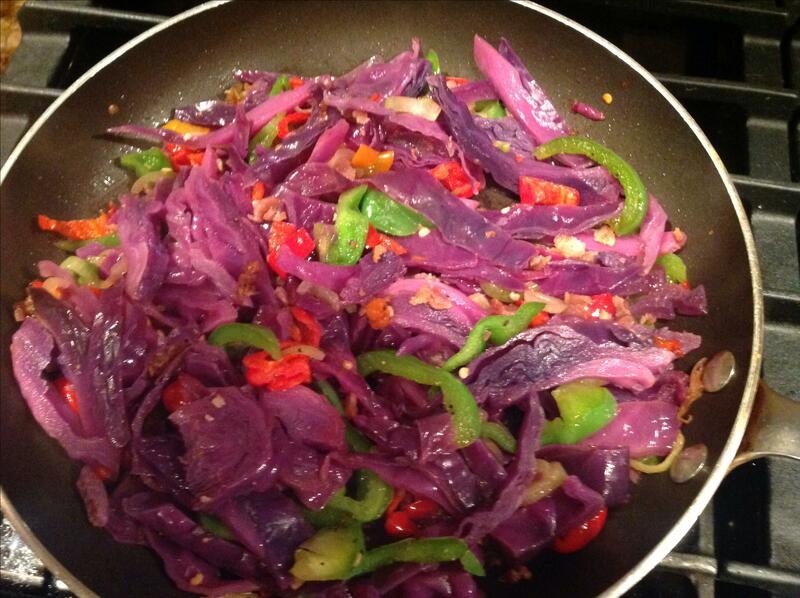 Can be a side dish or main dish. My only change was to add garlic. 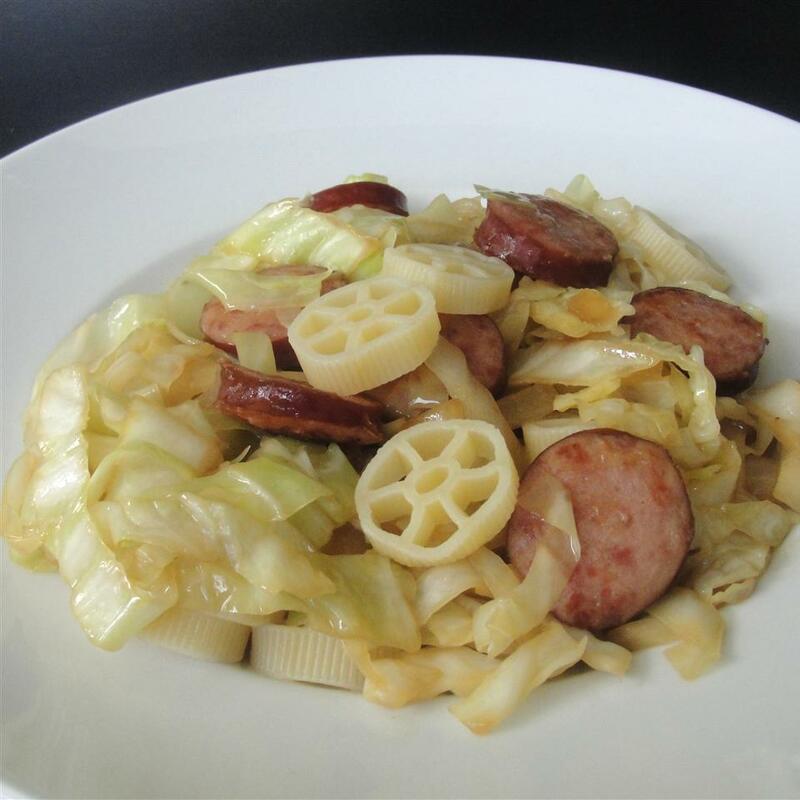 I sliced and cooked smoked sausage that I added at serving. That said I found this to be way too greasy and it tasted very bland. It was edible. My husband however loved it. This recipe is not for me. My Grandma made this all the time when I was growing up. She started with a pound of bacon diced. Brown the bacon and remove it SAVE the bacon grease. 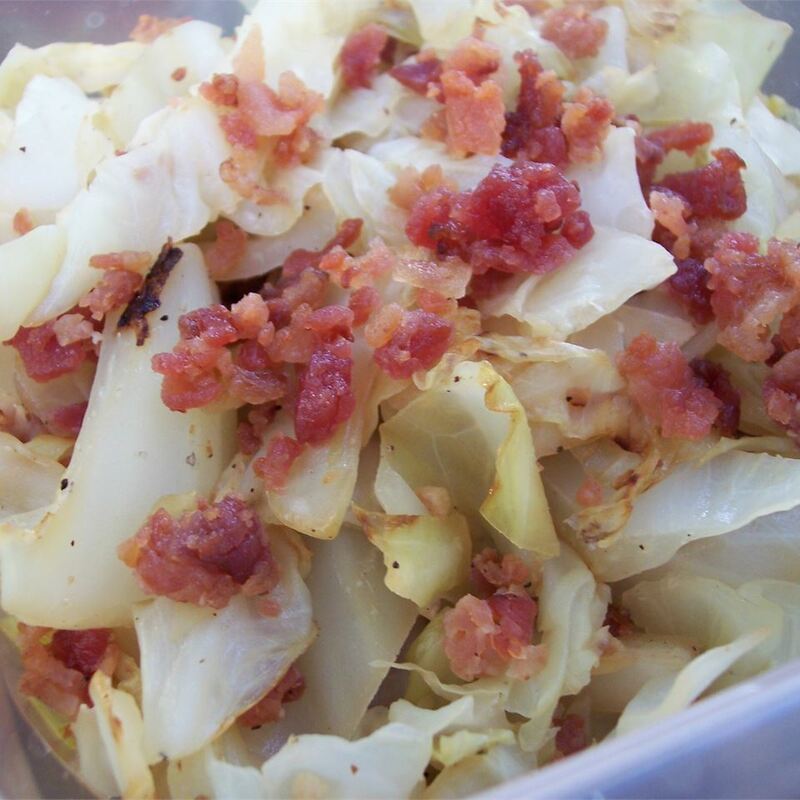 Next saute the cabbage and onion in the bacon grease. 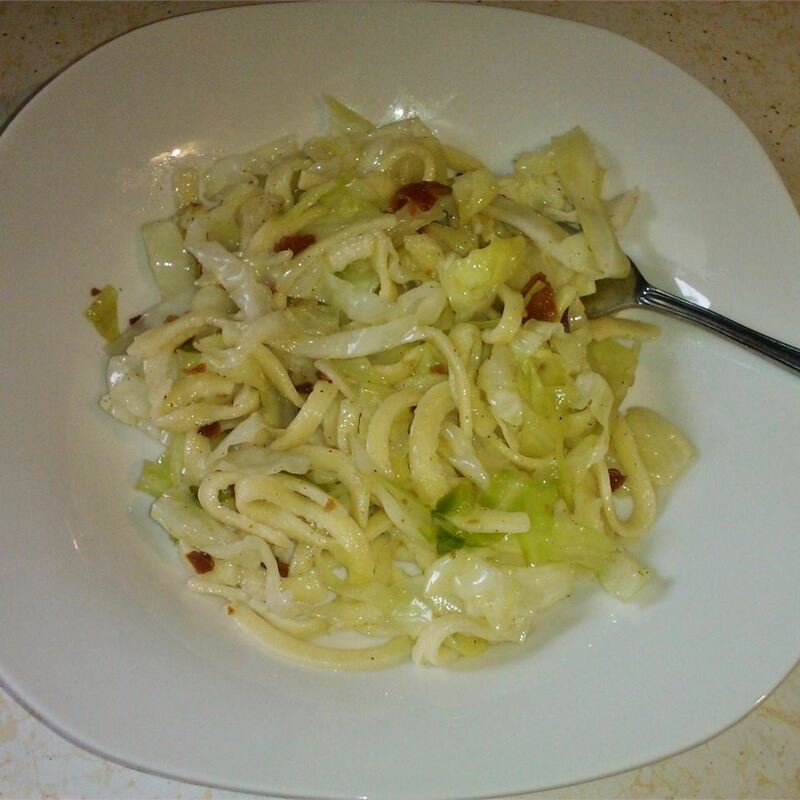 Meanwhile cook the noodles al dente then drain and add in the bacon and cabbage/onion mixture! Not exactly the healthiest dish in the world but she lived to be 93 years old. And you know it&apos;s gotta be a good recipe when the directions start with "Brown a pound of bacon and SAVE the bacon grease"
My son gave this 5 stars...and he almost never does that! 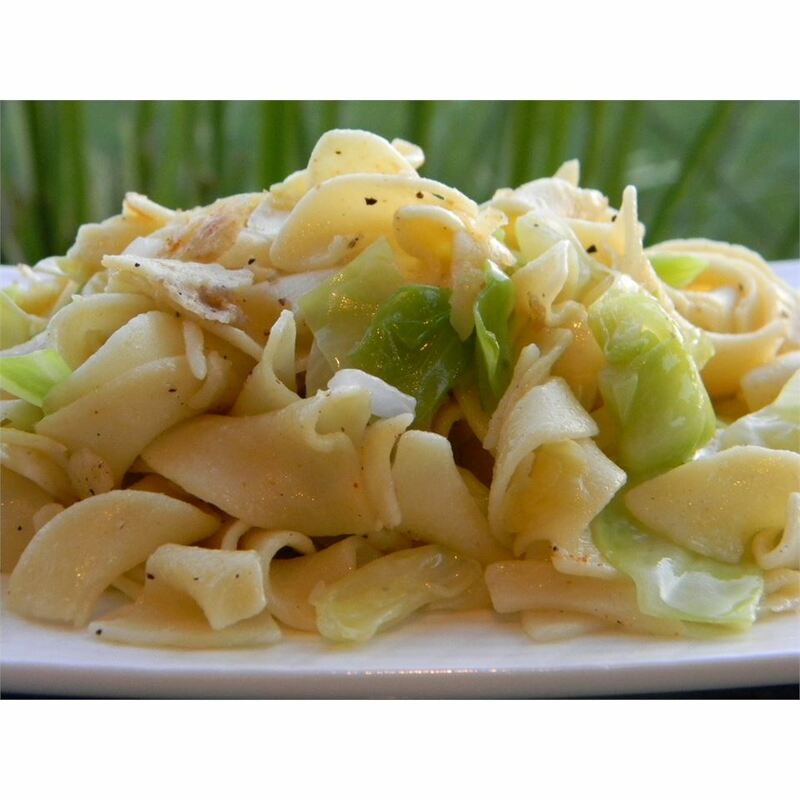 I should start by saying that I don&apos;t know if I should even review this recipe because I did not stay true to it as written (we gave it 4 stars as written but did make some changes this 2nd time through). 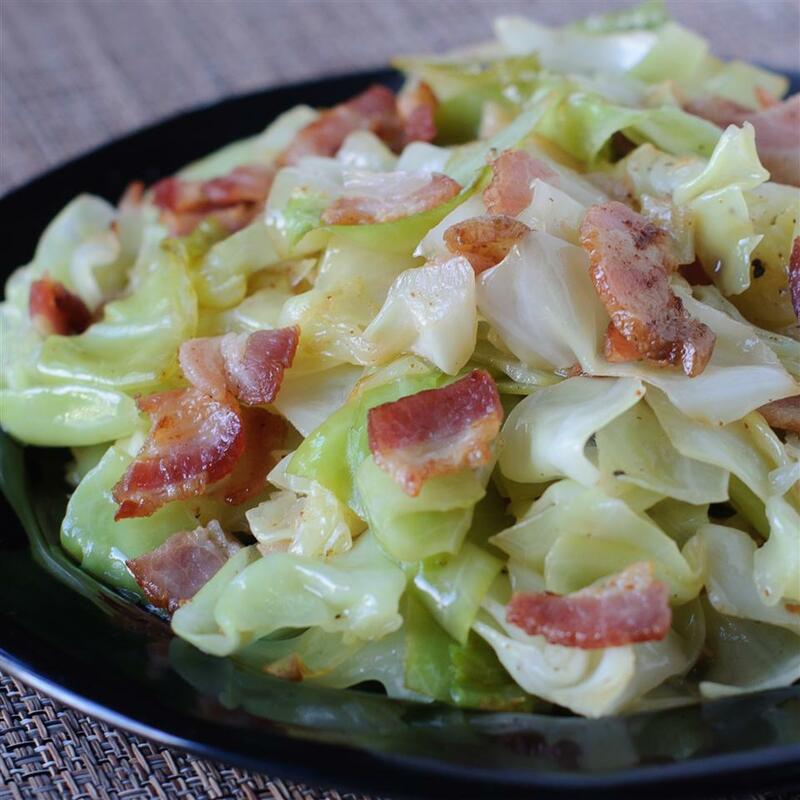 I started by browning a pound of diced bacon and when it was crisp removed it and then sauteed the cabbage and onion together slowly in the bacon fat until nice and carmelized. The I added the bacon back in plus 3 cloves of minced garlic. 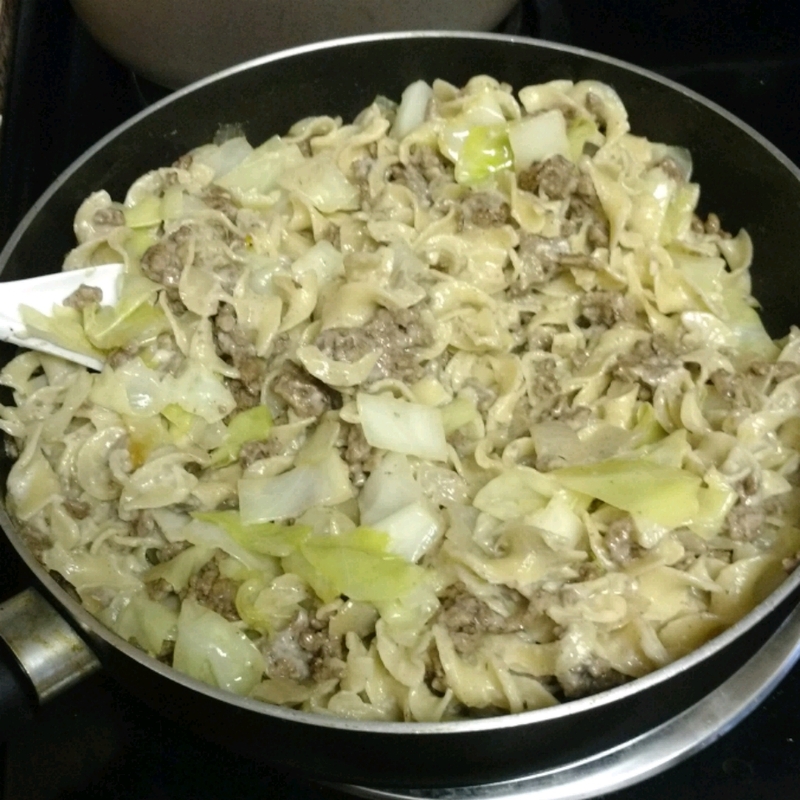 Then added in cooked homemade noodles. It was sooo good. Thanks rlecook!! 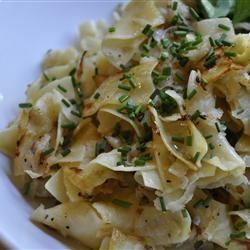 I&apos;m from western PA and many many moons ago my step-grandmother (who is hungarian) and another friends mother taught me to make this however they taught me to add potatos to this it is wonderful! I still make it many moons later! 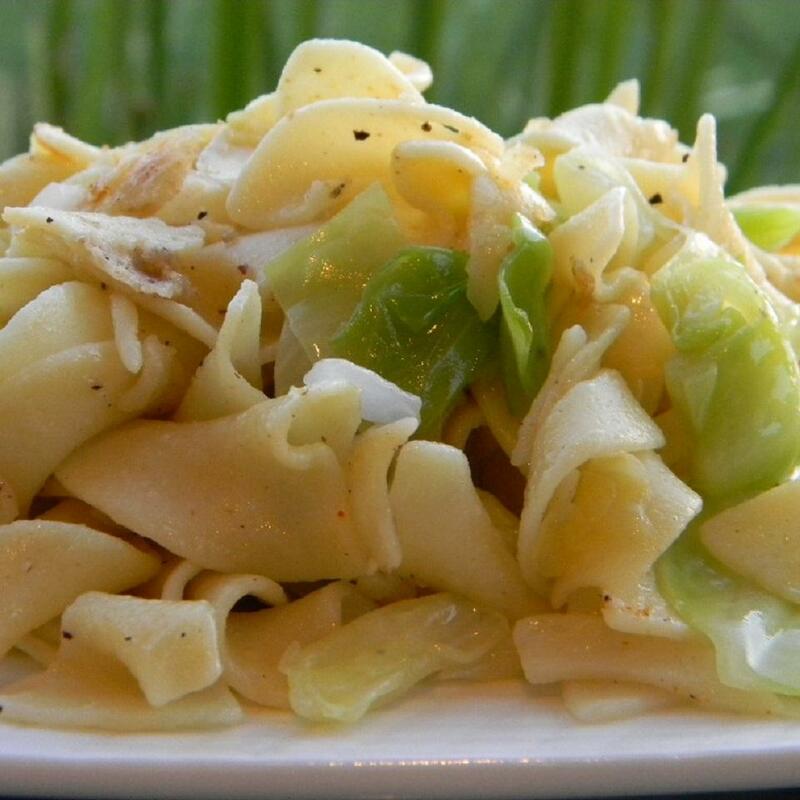 Very simple comfort food. 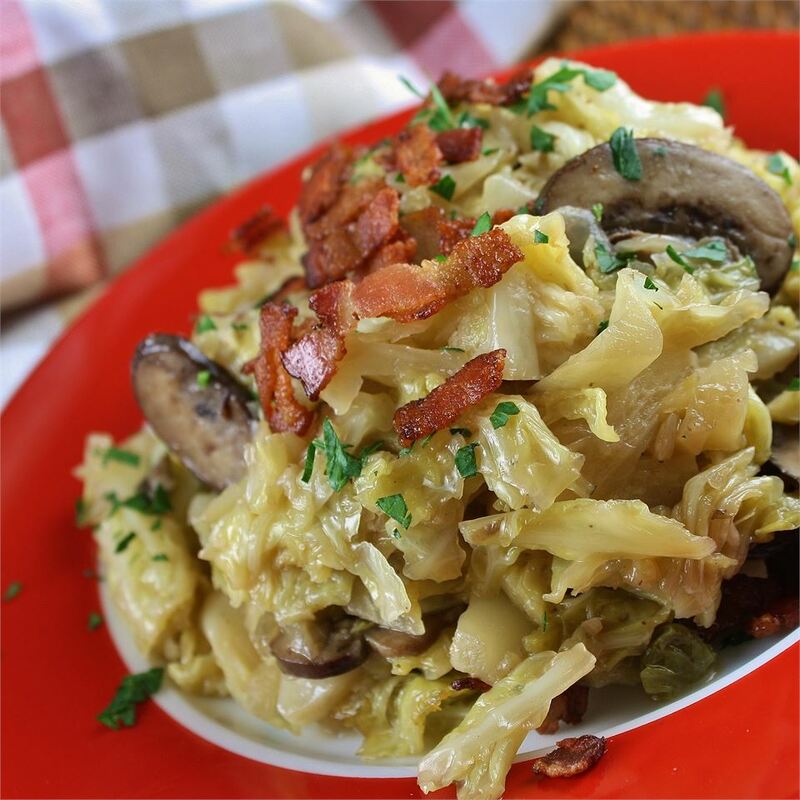 It makes a nice homey dish for a cold winter evening. 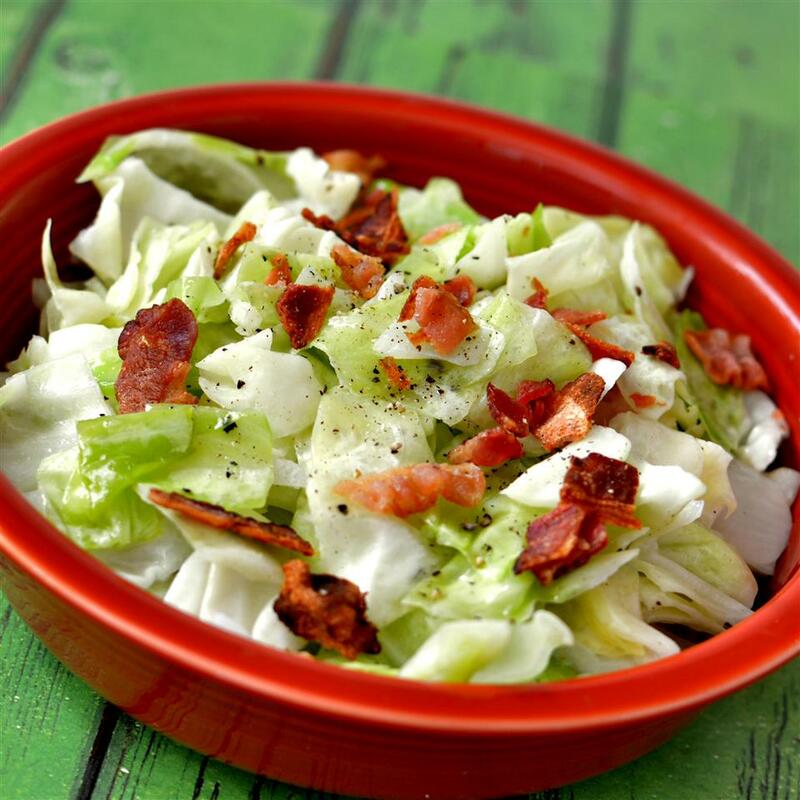 Sometimes I go crazy and add turkey bacon or cook the cabbage down in a little chicken broth. I always add some garlic. 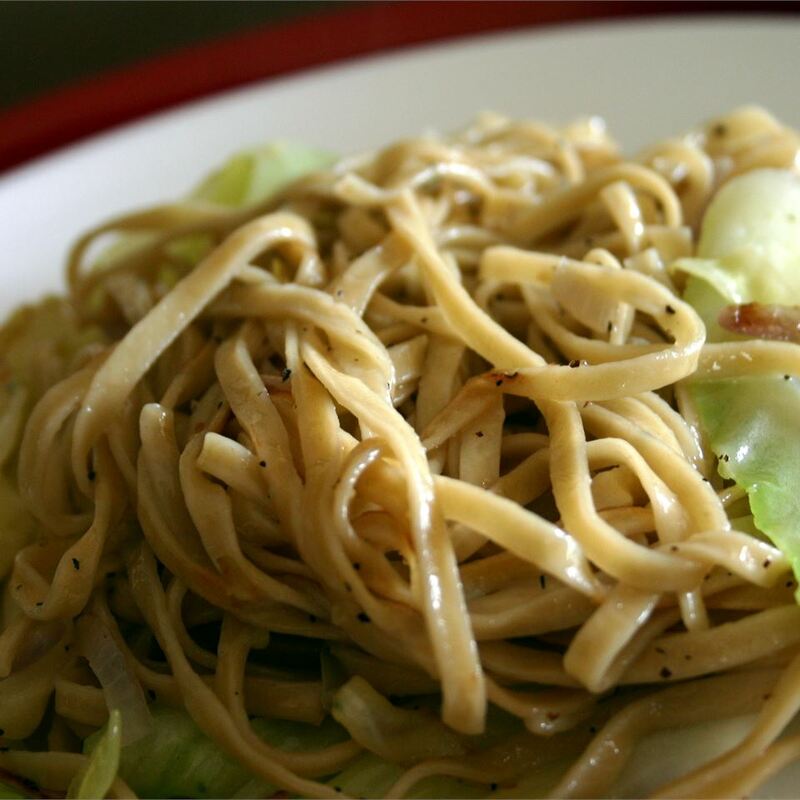 This dish really isn&apos;t anything special (in fact overall it&apos;s pretty bland)and yet it always gets gobbled up. Served with crusty bread slathered in butter and cheap red wine served European style in a short chunky glass - it seems to appeal to a sense of primal peasantry and a longing for simpler times. My husband was skeptical but after the first bite it won him over! I used some leftover frozen honey baked ham and a couple of Tbs. Of bacon grease that I keep in a small jar in the fridge. 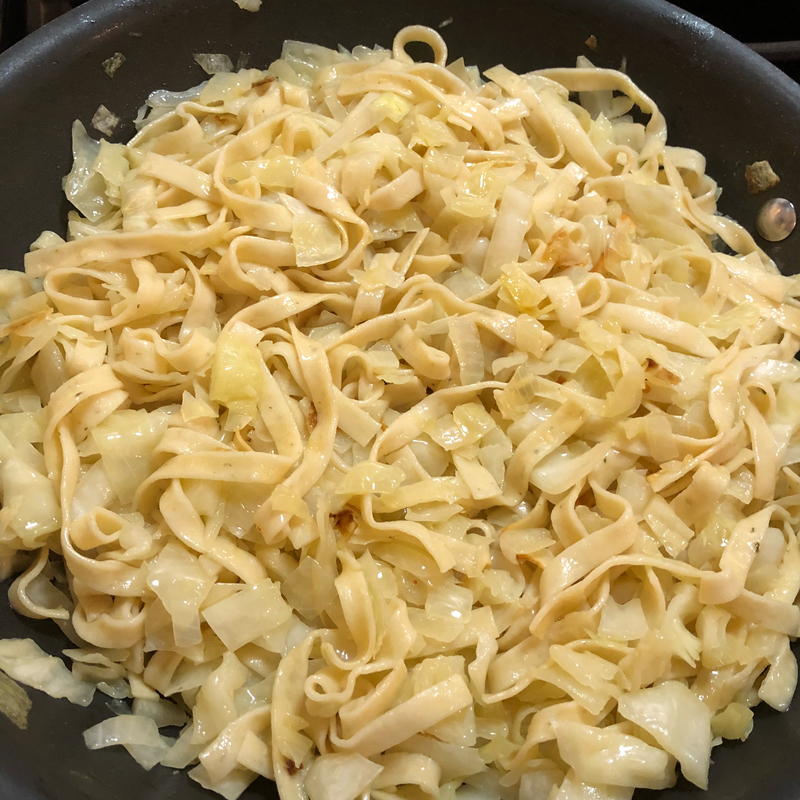 I made my own egg noodles and added a clove of garlic. Everything else I kept the same. 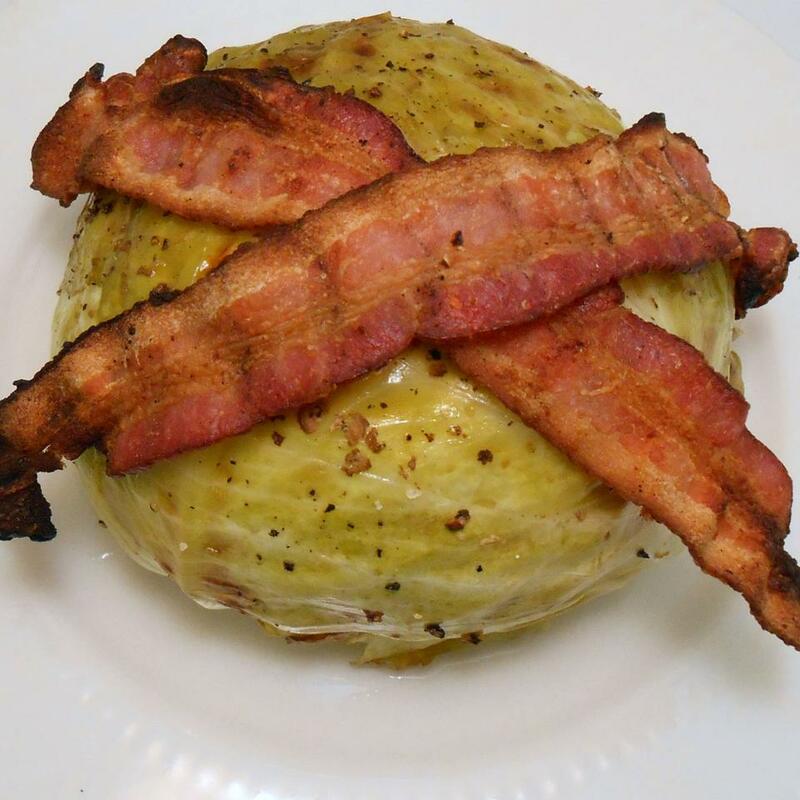 I agree that carmelizing the onion and the cabbage added so much flavor. 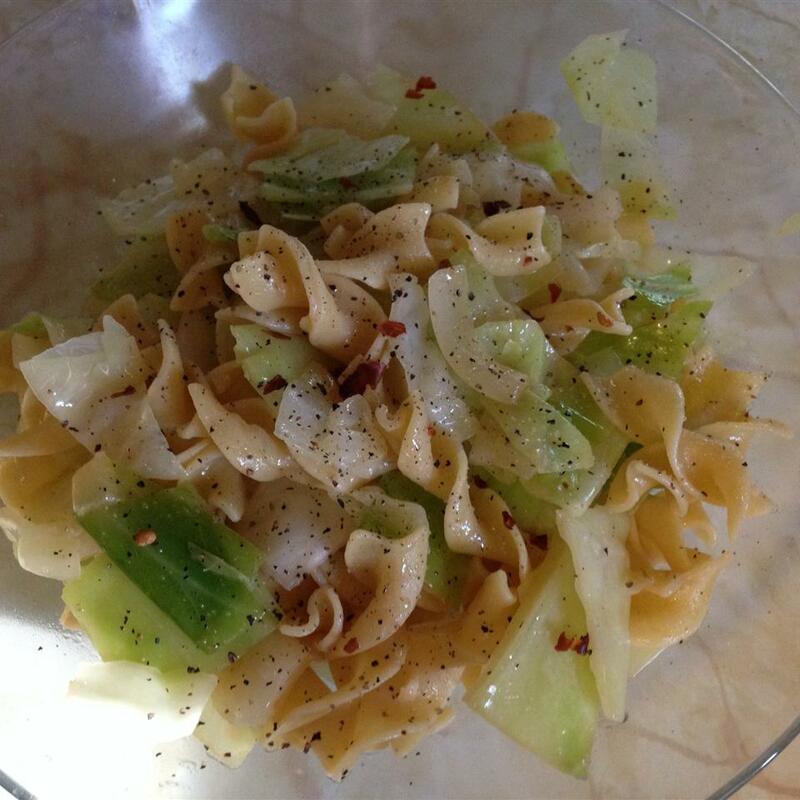 I doubled the recipe so my daughter would have a couple of servings to take to school for lunch... She liked it too! There is nothing really wrong with this recipe - it just isn&apos;t much is the flavor department....even with the butter it was just middle of the road for us. Best.Stuff.EVER! 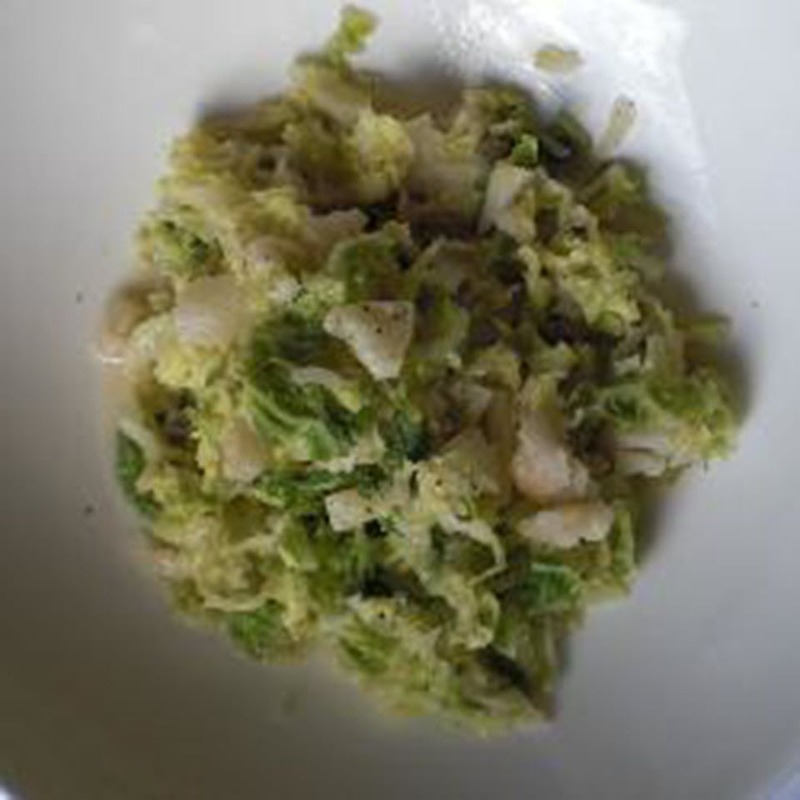 I actually chopped up about 3/4 of a pounds of lean corned beef and added it to this recipe. OMG...SOOOO good! !